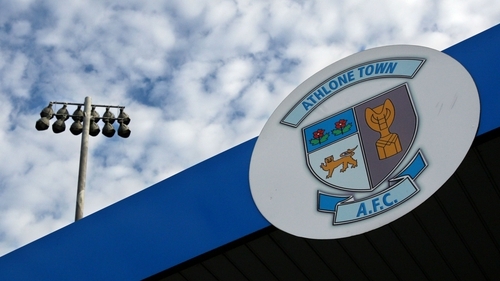 The FAI have brought charges against 'members of Athlone Town', following an investigation into match-fixing and irregular betting patterns. The organisation began the investigation regarding potential breaches of its rules after UEFA flagged up irregular betting patterns during Athlone's match against Longford Town in May. UEFA had informed the FAI that there was "clear and overwhelming evidence" of suspicious betting patterns in Athlone's 3-1 defeat. Six-figure sums are believed to have been wagered on the game on Asian betting markets, far exceeding the normal amounts wagered on an Irish First Division clash. In a statement, the FAI confirmed that they were bringing charges against 'members of Athlone Town', but did not name the individuals involved. The charges are in relation to bringing the game into disrepute, manipulating matches and betting/gambling. The short statement read: "The Football Association of Ireland can confirm that charges have been brought against members of Athlone Town AFC as part of the investigation launched following the receipt of a detailed report from UEFA. "The charges have been brought under the FAI Rules. "A hearing with the Independent Disciplinary Committee will take place on August 3." UPDATE: The club have released a statement this evening expressing their disappointment with the FAI's decision to bring charges against members of the club. "The board and the management committee of Athlone AFC are disappointed with the Fai's decision to bring charges against members of the club as part of the investigation into alleged match fixing," the statement said. "The club would like to remind the public and the media that everyone at Athlone Town AFC denies being involved in match fixing/match manipulation of any sort. "At this point in time no finding of wrongdoing has been made against any coach, player or official at the club."